These pictures were taken after the Eleonora Carisi For Zalando event in Antwerp, of which I'll write a post about as soon as I get my hands on the official pictures taken that day. When the event was over, Annebeth, Paulien and I wanted to go outfit shooting, but we found ourselves in between rain and a stormy wind. Thank God the MAS museum was just around the corner, which was both our shelter and shooting location. This Filles A Papa blazer has been hanging in my closet for ages, but I never found the perfect opportunity to wear it. When I was looking for an outfit to wear to the event, I threw these pieces together randomly and I fell in love right then and there. I know some of you won't like the white, gold and checked combo, but I think they all work well together. I'm usually all about the rock 'n roll kind of lifestyle, but from the second that I hear 'Disney', I turn into an 8-year-old all over again. I've been to Disneyland Paris about 9 times now (and we're planning a new trip in the near future), my bedside table is packed with Tinkerbell statues and I still have all of the stuffed animals and puppets that I bought there in my room. So when I saw the campaign shots of Red Valentino's Fall / Winter Ready To Wear 2014 collection, I shrieked from happiness. 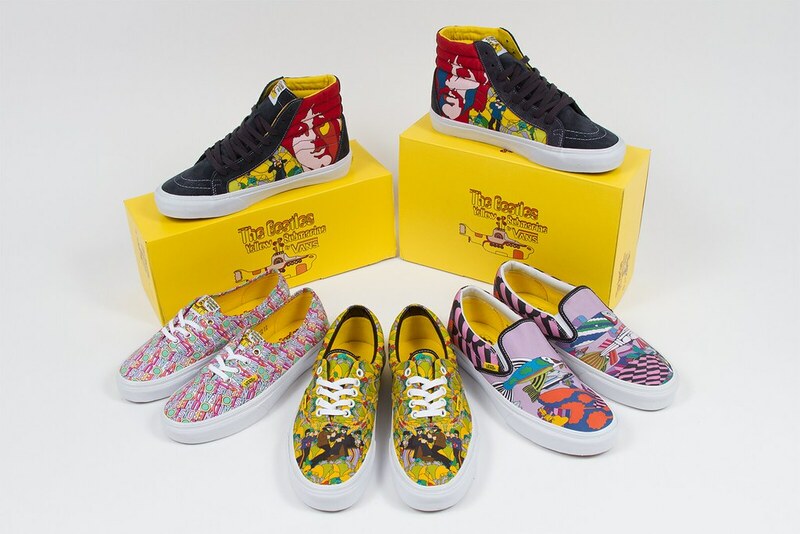 An entire Snow White themed collection, it can't get any better than this. My eyes are open for the Snow White printed dresses, the apple purses, the big shopping bags and the heart shaped eye patch. I love how the collection is a mix between the girly girl and the rock chick. Leave your thoughts in the comment box below, I can't wait to hear them. As long as I can remember, I've been dealing with hair that gets greasy in a heartbeat. For me to have pretty, shiny, clean hair all the time, I would have to wash it every day. Two days without washing definitely is the limit for me. If I don't have enough time or when I'm too lazy, I put my hair up in a ponytail or a bun, but still, it's just no fun. I've tried every shampoo against greasy hair available, without any luck... Until now! A while ago, I received an email from Farmaline, asking if I wanted to try out some of their products. I'm always in to discover new things, so I said yes. Since I wasn't sure what to pick, they asked if I had some issues with certain parts of my body. I explained the hair situation and received a customized beauty package the day after. 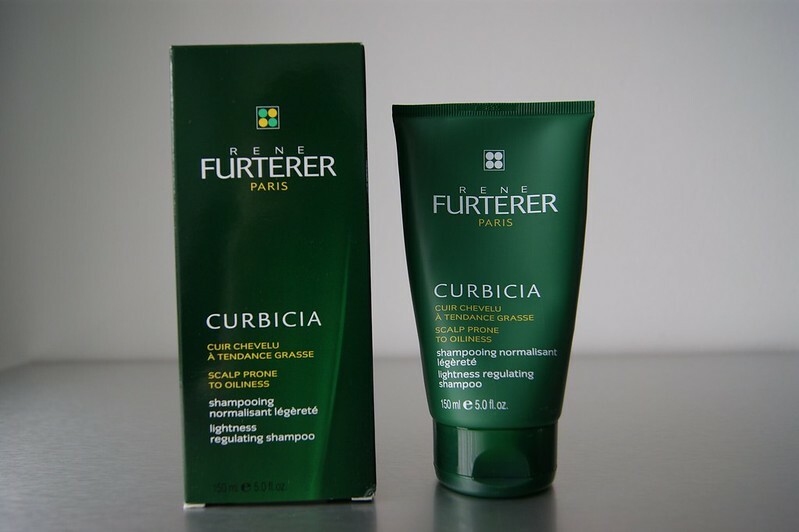 There was a note included, saying that the Rene Furterer Paris 'Curbicia' Shampoo was a personal favorite, so I decided to try it out immediately. And we have a winner! I'm totally addicted to this shampoo now and I'm definitely going to keep on using it in the future. Want to read more about my - positive - experience with this shampoo? Did you ever look at Nicole Richie or the Olsen twins and thought that their sunglasses couldn't get any bigger? Well, think again. Meet 'Carlina', the star of Chloé's S/S '14 campaign. I have a feeling some of you will love her and many of you will hate her. I can't wait to read your thoughts on these sunnies. 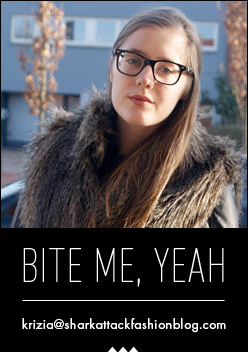 The Chloé 'Carlina' sunglasses will be hitting Chloé boutiques and selected opticians in March 2014. There will be 5 colors available. Winter doesn't exist in my life, so Shark Attack and Born Pretty Store teamed up to bring some spring into your life already. Do you have a great mind and do you think alike? 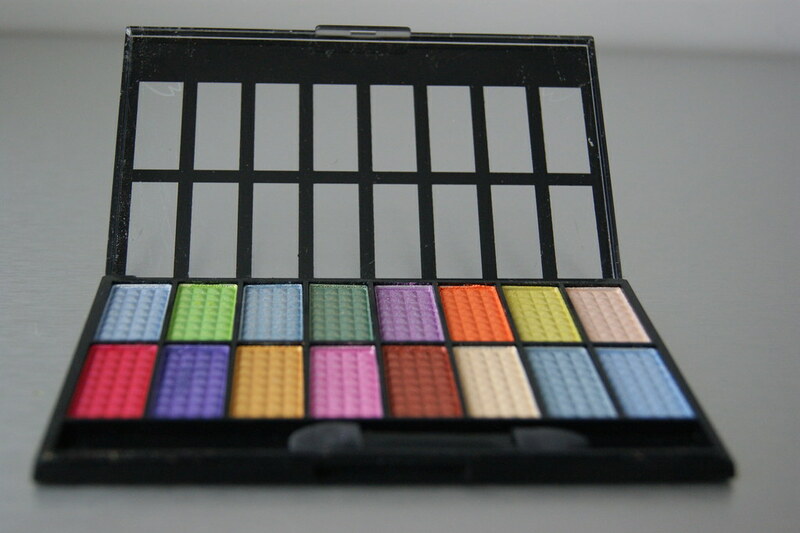 Then you have a chance to win this eyeshadow palette by Kiss Bèauty Paris, featuring 16 popping shimmery colors! 1. Like the Born Pretty Store Facebook page HERE. 2. Like the Shark Attack Facebook page HERE. I will announce the winner on Facebook. 3. Leave a comment with your name and email address. 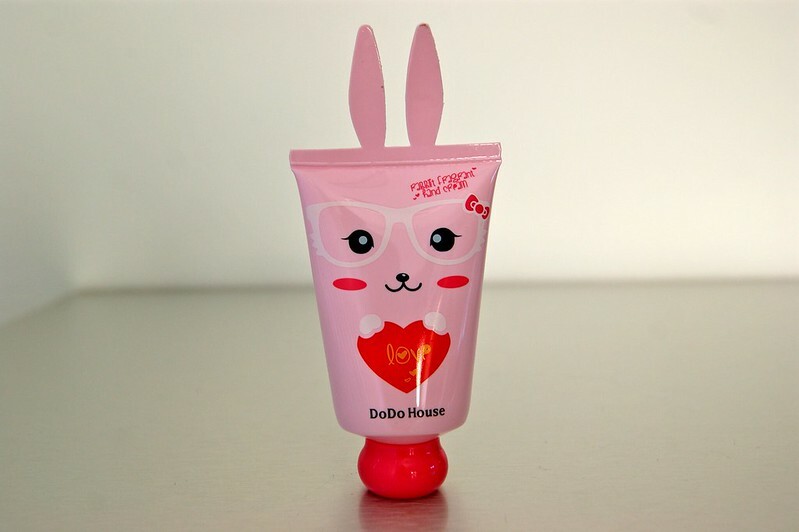 The give away will be open worldwide and will end on 20 February 2014. P.S. : To have a closer look on all the colors, click below. P.P.S. : Ordered something on Born Pretty Store? You get a 10 % discount if you enter the KST10 code! River Island published their look book of the Womenswear for S/S 2014 and it's definitely Shark Attack's cup of tea. Basic colors, flashy colors, pastels, (tribal) prints, sequins, leather... They're all there! It's the perfect mix and match. For their newest collection, the River Island's designers focused on 6 themes: Sports Mono, Classic Plastic, Posh Pastels, Tribal Grunge, Print Clash and Metallic. With casual daywear with a street style vibe and chic ensembles for the night, you will always find an item to add to your wardrobe. The leather ensemble above, the black and white vest, the eagle T-shirt, the sequined striped blouse, the baby pink leather jacket, the baby blue / lilac vest and the floral dress in the last picture. What do you think about the collection? Do you see any favorites? Share them in the comment box below!